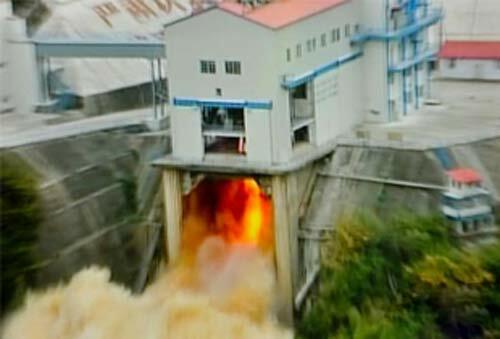 China's new liquid oxygen and kerosene-fueled rocket engine lights up for testing originally appeared on Engadget on Tue, 31 Jul 2012 19:57:00 EDT. Please see our terms for use of feeds. Many photographers will tell you that their least favorite shooting situation involves a portrait with the sun to the subject's back: there's a good chance the shot ends up an unintentional silhouette study unless the shooter meters just perfectly from that grinning face. Apple has just been granted a patent for the metering technique that takes all the guesswork out of those human-focused shots on an iOS 5 device like the iPhone 4S or new iPad. As it's designed, the invention finds faces in the scene and adjusts the camera exposure to keep them all well-lit, even if they're fidgety enough to move at the last second. Group shots are just as much of a breeze, with the software using head proximity and other factors to pick either a main face as the metering target (such as a person standing in front of a crowd) or an average if there's enough people posing for a close-up. You can explore the full details at the source. Camera-toting rivals, however, will have to explore alternative ideas. 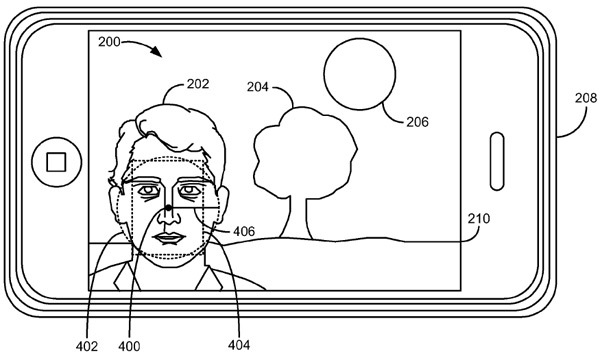 Apple patents iOS 5's exposure metering based on face detection, keeps friends in full view originally appeared on Engadget on Tue, 31 Jul 2012 19:34:00 EDT. Please see our terms for use of feeds. At CES 2012 we were promised that Yahoo would integrate IntoNow's SoundPrint technology with its backend to pull up useful extra content about whatever TV program was being watched and now it's delivered that and more. IntoNow 3.0 for iOS (no upgrade yet for the Android version) enhances the app's TV companion experience in three key ways: TV / Music Sync, "CapIt" screengrabbing and finally Group Chat. The TV and music sync brings not only the associated info we'd heard about before, but also brings Shazam-style information about any music that might be playing. CapIt can pull screenshots from the cloud of any of the TV shows IntoNow's backend is monitoring, which adds up to about 13 million frames a day, then pops them up ready for meme creation and sharing. Group Chat does exactly what it sounds like, and lets you talk to friends or set up circles of fans around particular shows. We gave the app a try and found it worked as advertised, quickly identifying what was playing whether live or on DVR and popping up episode info, cast listings and Wikipedia links. 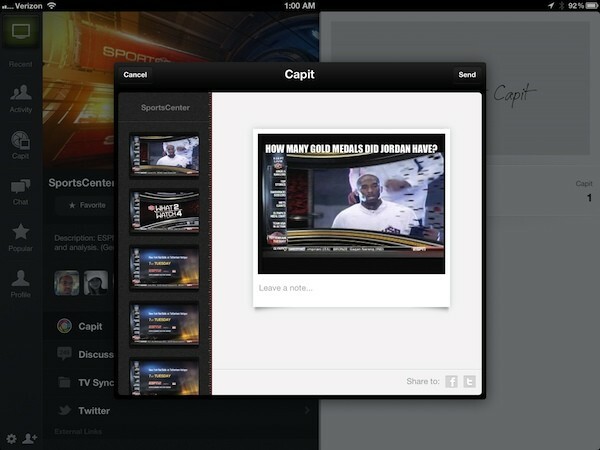 The CapIt feature (shown above) pulls frames with surprising speed and ease, even on live broadcasts, and allows users to scroll backwards or refresh for new freezes to grab just the right one. It doesn't monitor what you're watching live, but punching the green TV icon in the upper left corner causes it to sync right away, which also creates an entry of what was being watched and when. Yahoo's IntoNow TV companion app for iOS adds screen grab, music recognition and chat features originally appeared on Engadget on Tue, 31 Jul 2012 19:13:00 EDT. Please see our terms for use of feeds. TomTom launches new hands-free dashboard mount for smartphones (video) originally appeared on Engadget on Tue, 31 Jul 2012 18:57:00 EDT. Please see our terms for use of feeds. Fanhattan's often been praised for offering a one-stop hub where folks can keep track of all their cherished entertainment shows, which has led it to become a crowd favorite amongst iOS users. Well, today the application's expanding its TV guide services a little more, announcing it's now showing content from 10 new providers, including HBO, Cinemax, NBC and, better yet, The CW -- you know, because we just can't miss out on the latest Gossip Girl episodes. In addition to these channel inclusions, Fanhattan's also introduced a novel, Amazon-esque WatchList feature that pushes out alerts as soon as added shows (movies, too) are ready to be watched. If you've yet to give the handy application a try, you can do so now by grabbing it at no cost from Cupertino's well-known app mart. 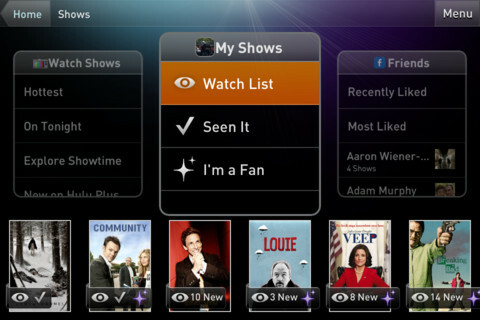 Fanhattan updates iOS app with WatchList feature, content from Cinemax, HBO and NBC originally appeared on Engadget on Tue, 31 Jul 2012 18:38:00 EDT. Please see our terms for use of feeds. Let's chalk this one up to something being lost in corporate translation. 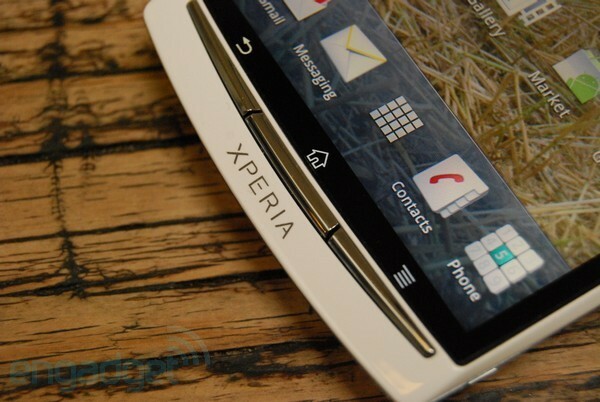 After a UK company rep issued a statement just days ago confirming the lack of an Android 4.1 upgrade path for certain 2011 Xperia handsets, Sony's delicately backtracking and claiming that public info was made "in error." While this official retraction may soothe previously irate owners' concerns, it's still not an outright commitment to Jelly Bean, as the company's only now pledging to "actively [investigate]... upgrades for all devices" -- a carefully worded PR promise par excellence. To the Japanese electronics giant's credit, it has been pretty transparent and diligent about delivering ICS updates to its elder smartphone progeny, so we have plenty of reason to remain cautiously optimistic Google's newest OS will make the transition, too. Sony backpedals on Android 4.1 upgrade statement, is now 'actively investigating' all Xperia updates originally appeared on Engadget on Tue, 31 Jul 2012 18:13:00 EDT. Please see our terms for use of feeds.